We have been posting the stock wallpapers of many smartphone in our Wallpapers category. Today we are bringing the stock wallpapers of one of the best Windows loaded notebook. Yes its the great high-end Surface Pro 6. The Official or the wallpapers that are pre-loaded on this awesome Microsoft note-book (laptop) are the real cool ones. Because of the High-end display on this laptop the wallpapers are mostly in QHD resolution. 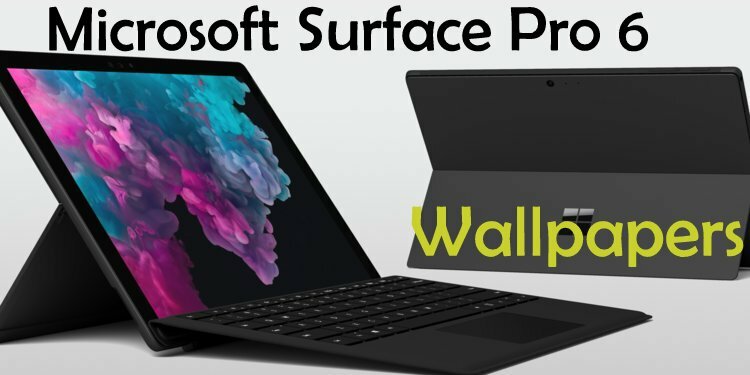 There are two different models of the Microsoft Surface Pro 6 on the bases of size. The 13 inch model and the 15 Inch model. Though there are not any big differences between the two variants. But the specs sheet are a bit different. Here are the real specs sheet you would like to have a look. There are 4 Stock Wallpapers in Microsoft Surface Pro 6. All of which are in 4K UHD resolution of 3240 x 2160 pixels. There are 2 official or Microsoft Surface Pro 6 Stock Wallpapers with the full 4K UHD resolution. You can download these wallpapers one by one or simply download the zip file given in the link below. Meanwhile have a look at these wallpapers. Surface Book 2 Stock Wallpapers. Samsung Galaxy S10 Stock Wallpapers. iPad Pro 2018 Stock Wallpapers.